Florida Governor Ron DeSantis address speculation about suspending the Broward County sheriff. According to Reuters, the official may be suspended over the police response to the Parkland mass shooting. The massacre at the Marjory Stoneman Douglas High School resulted in 14 students and three adults dying. DeSantis said he would talk about government accountability at the sheriff’s headquarters. Other papers have cited unnamed sources saying DeSantis planed to suspend the sheriff. Reuters reports Florida Governor Ron DeSantis has suspended the sheriff who was criticized for the police response to last year’s mass shooting at Marjory Stoneman Douglas High School in Parkland, in which 17 people were killed. 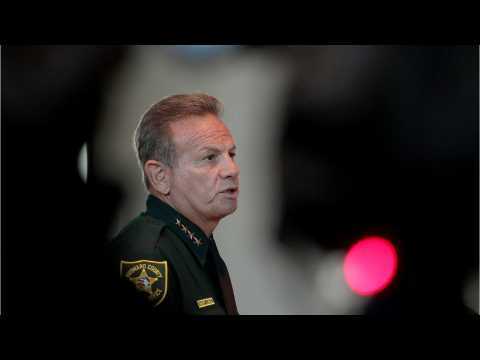 DeSantis said Friday that Broward County Sheriff Scott Israel showed leadership failure on February 14, 2018. DeSantis said during a news conference, “The massacre might never have happened had Broward had better leadership in the sheriff’s department." A state-appointed commission last week identified in a report several failings in Israel’s agency’s response to the shooting. According to a report by Reuters, on Wednesday, Florida Governor Ron DeSantis called for a state grand jury to investigate the 2018 school massacre in Parkland which claimed the lives of 17 people, pledging accountability for any local failures that led to the deadliest US high school shooting. DeSantis reportedly petitioned the Florida Supreme Court for the investigation one day before the first anniversary of the Valentine's Day massacre at Marjory Stoneman Douglas High School. While flanked by parents of the slain, DeSantis said at a new conference, "They are going to have the power - subpoena and otherwise - to get to the facts and get to the truth." Florida's Broward County Sheriff Scott Israel has been suspended by Gov. Ron DeSantis. According to Newser, Israel was Sheriff during the February shooting at Marjory Stoneman Douglas High School. Governor DeSantis tweeted Friday afternoon that Israel was removed from his post for "repeated failures, incompetence and neglect of duty, adding that Israel "has repeatedly failed and has demonstrated a pattern of poor leadership. Florida Gov. Rick Scott claimed victory in the US Senate race in Florida. The state had been recently ravaged by a hurricane, which put much of the campaign activities for both candidates on hold. Scott would serve alongside Republican Marco Rubio in the Senate, who won reelection in 2016. Florida Gov. 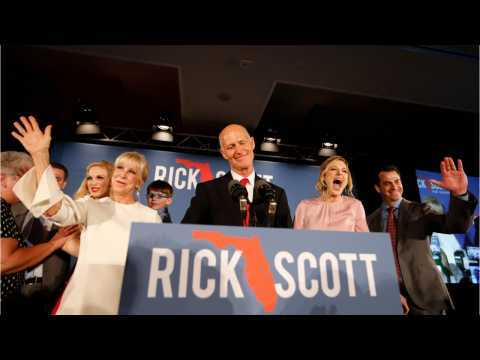 Rick Scott claimed victory in the US Senate race in Florida, where he would unseat Democratic incumbent Sen. Bill Nelson. Scott, the Republican candidate, had been serving as governor since 2011, but was barred from running for reelection again due to Florida's swift term limits. On Monday, Texas Governor Greg Abbott was set to hold a series of meetings on how to combat school violence, three days after a 17-year-old killed 10 people in the fourth-deadliest mass shooting at a public school in modern U.S. history. Abbott said he would talk with educators, parents and elected officials about ways to improve school security without infringing on the right to bear arms. Abbott continued to say that “We need to do more than just pray for the victims and the families."